At the end of the innings I slip off my black flippers and emerge from the water, waist-deep in the shallows of the sanctuary. At the end of the innings I slide off my snorkel and make my way to the shore. At the end of the innings I take off my black gloves, head across the sand as the saltwater drains from my wetsuit. It is in this last act, removing the gloves – with flippers tucked under one arm, snorkel dangling from a wrist – that I come closest to ever acting like a cricketer. Like a batsman, I’m removing protective equipment while walking away from the playing field. And, as often as not, I may glance eastward toward the little cricket ground a few hundred metres away where, 20 odd years ago, I tried to be a cricketer. At the tender age of 30. A fifth X1, suburban, no-shade-anywhere, melted-Tim-Tams-for-afternoon-tea park cricketer. A getting-baked-under-the-hot-sun-I-should-have-more-sense-at-my-age park cricketer. I was a no-spin slow bowler whom the skipper would summon from the deep when we needed to buy a wicket. Put all the fielders on the boundary, a few nearly in the water, and let the batsman take the bait. The deed done after all of two nervous overs, I’d be back fielding in the middle of nowhere, chuffed with my wicket but also looking out at that water. The solitude of cricket leaves you plenty of time to ponder the big questions. Can I actually bowl? Can I actually bat? What, really, am I doing out here, in the heat? 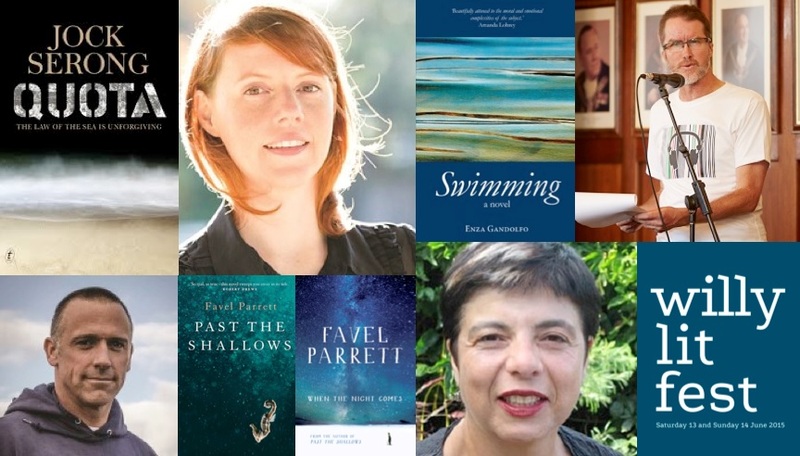 What lies beneath the surface of cricket, of life, of that water just over there? What moves and swims and darts and glides in the octopus’ garden? After two summers of ineptitude I put away the pads, the gloves, the white hat, the unmarked bat, the hopes. Put them in the garage, let the dust settle on the dreams. Contented myself with playing cricket in the backyard and the driveway with my children. 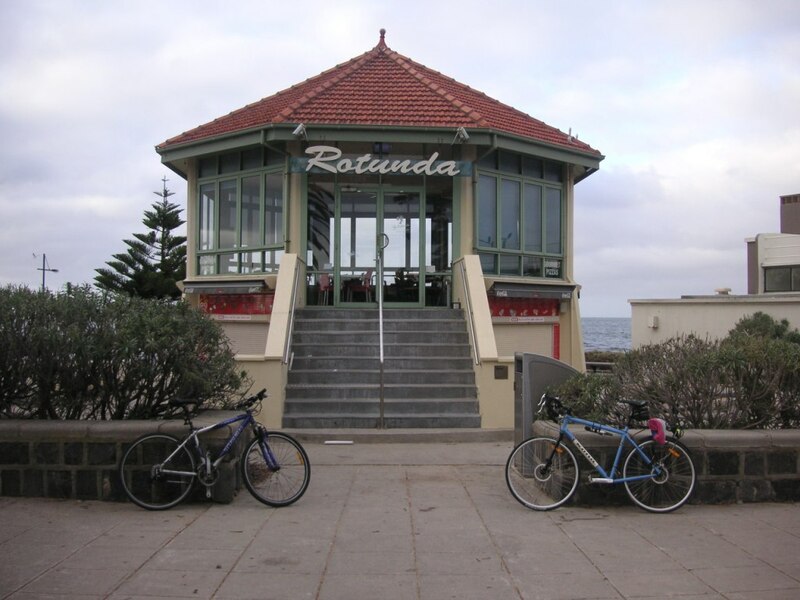 But the cricket ground and the marine sanctuary were only a few minutes on the bike from home, on a bike path that skirts this seaside suburb. One summer after another I would pause my pedalling, watch the bowler running in, and then gaze across to the water, to the rocks and the pelicans, to a handful of people in the water. Snorkelling. Diving. Seeing things I’d never seen before. Despite not being a strong swimmer, I bought a wetsuit. Flippers. Snorkel and goggle. Gloves. Earplugs. Then I waited. For a 30 degree day. For clear skies. For calm waters. 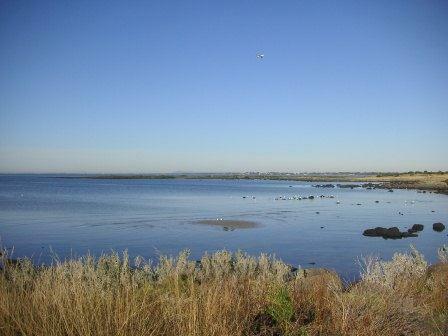 I pack my gear into my bike’s panniers, and pedal past the little cricket ground to this suburban marine sanctuary. Three-storey townhouses overlook the small beach from about 400 metres back. Refinery towers breathe fire about two kilometres to the west. I leave my bike by the fence, walk the narrow gravel path, treading loudly to keep snakes at bay. You can never be sure how clear the water will be, if clear at all. 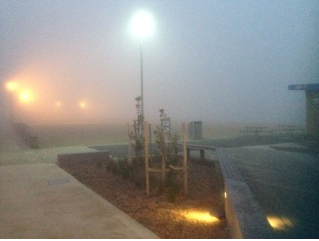 It’s like trying to read pitch conditions and bowlers from afar. You don’t know what you’re in for until you’re out there in the middle. Still, there’s enjoyment – even satisfaction – in the anticipation: in tugging on the wetsuit, zipping it up; in popping in the earplugs, putting on the snorkel. You carry your gloves and your flippers out to a waist-deep rock. You gaze up at the sky. Glance back at the shore. Out to the horizon. You’re still surprised that this is what summer really means to you now. 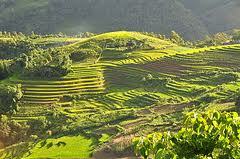 After all, this was never part of your childhood, of school days, of holidays. This was never on the back pages. Or on the telly. This was never, ever, on the radio, day after day after day. You knew you’d never be, say, Jacques Kallis. 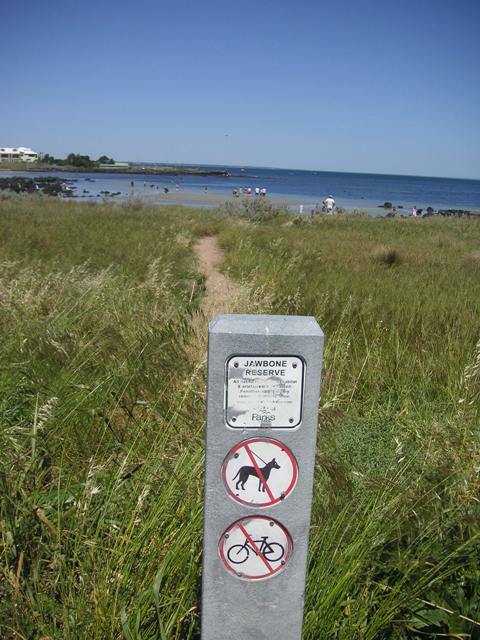 And yet, here you are at Jawbone Marine Sanctuary in Williamstown being, in your own little way, Jacques Cousteau. 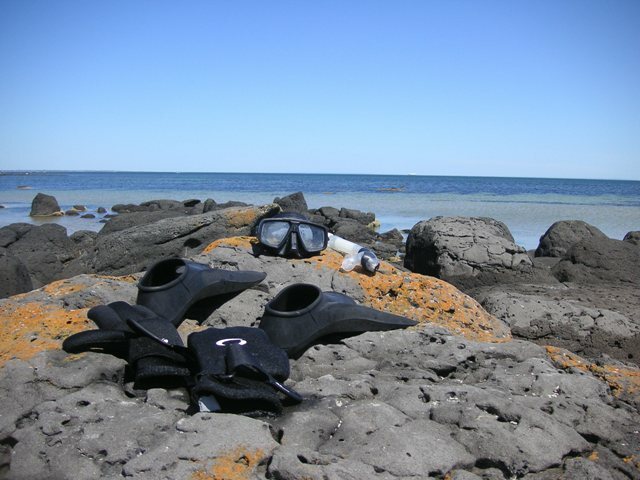 The solitude of snorkelling leaves you plenty of time to ponder the big questions. Am I breathing? Am I floating? Can I see, not just below me, but around me, in front of me? Is the tide of life going out or coming in? Just you and your breathing. Just you and the best innings of summer. 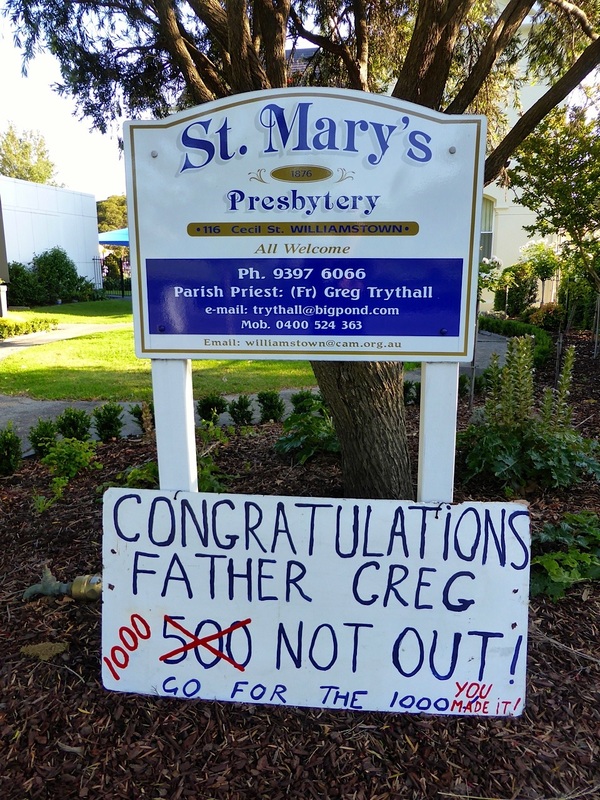 Triumph for Fr Greg Trythall. Photo by Carl Tracey. 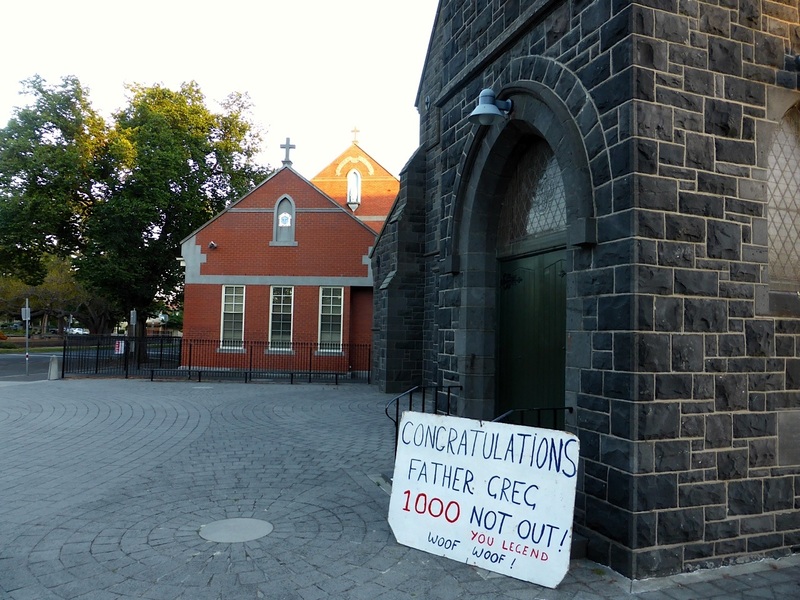 Blue skies and clear water greeted Father Greg Trythall on Sunday morning 28 December when he notched up 1000 consecutive Sunday swims in Australian waters with a 200 metre swim at Williamstown. Nine-hundred and nintey-nine down, one to go. 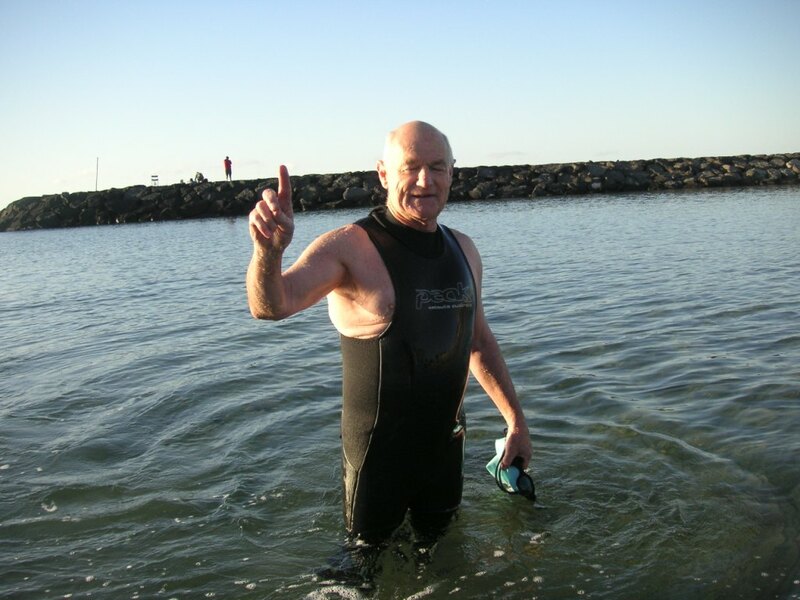 Father Greg entered the water just before 7am and swam freestyle out to the western buoy and back. Millenium of Sunday swims approaching, with Rick Powell accompanying. 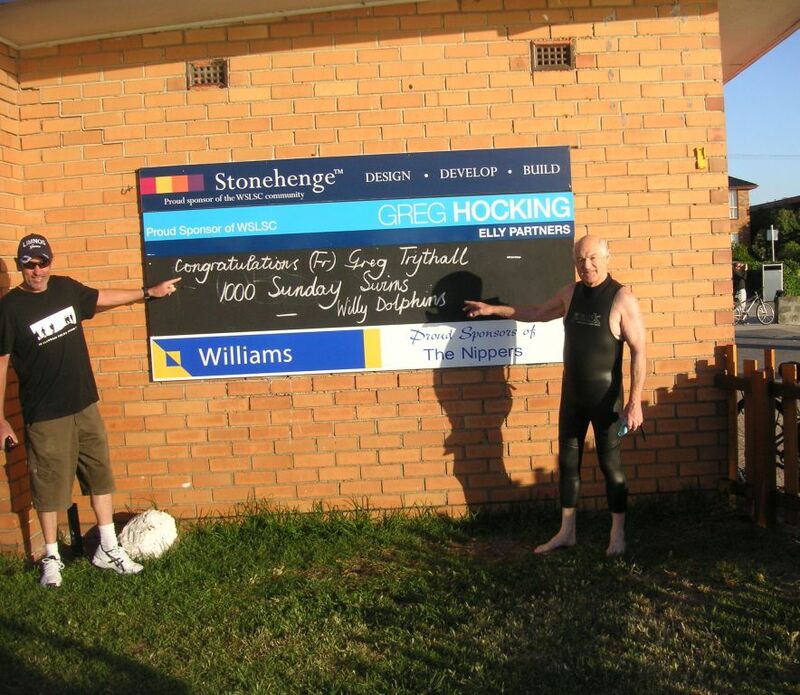 Over 50 of the swims have been in the warm waters of Byron Bay, where Greg spends his annual holidays. 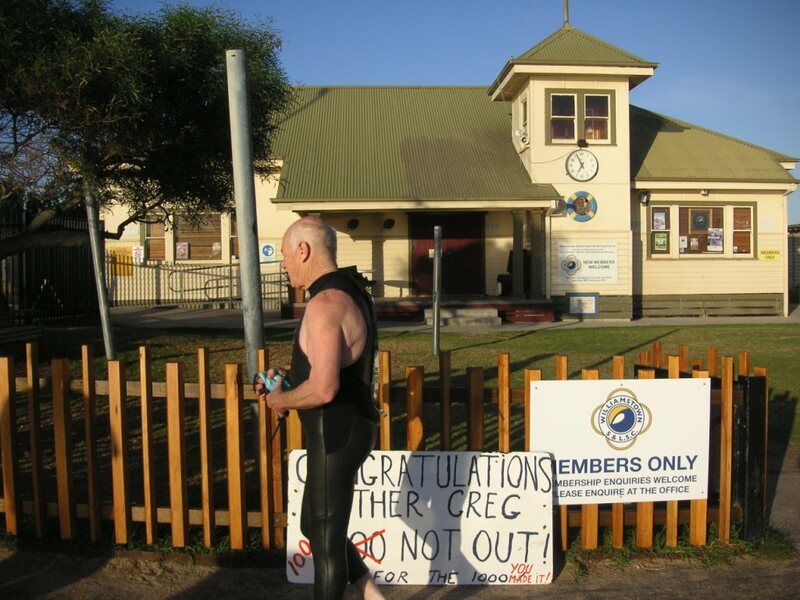 And just over 200 of the swims have been at Williamstown, where Greg has been St Mary’s parish priest since April 2010. 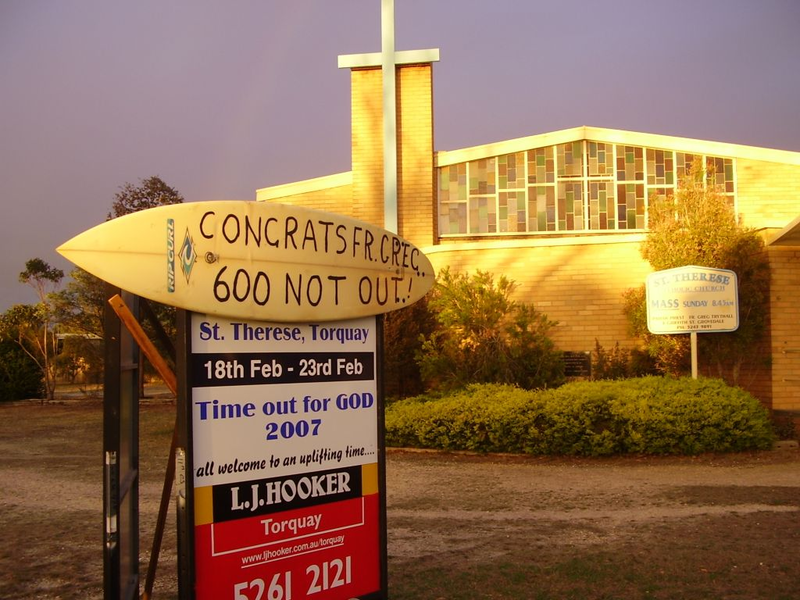 “There were also two Sunday swims in Perth, in 1998 and 2008, during the National Council of Priests bi-annual Conference. And one Sunday I swam at the beautiful Yamba beach in Northern New South Wales. Greg’s pattern of swimming is almost every Wednesday and Friday during year, but never miss a 7am Sunday swim before church services. 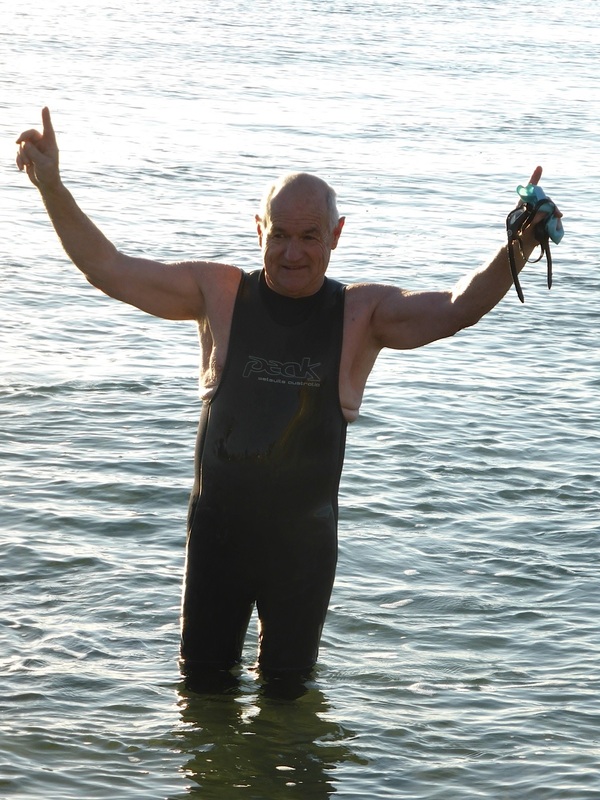 Greg has also swum at Xlendi in Gozo, Malta, the Dead Sea, the Black Sea, the Red Sea. France, Honolulu, and Maui. Amongst Father Greg’s well wishers (his acquatic apostles?) 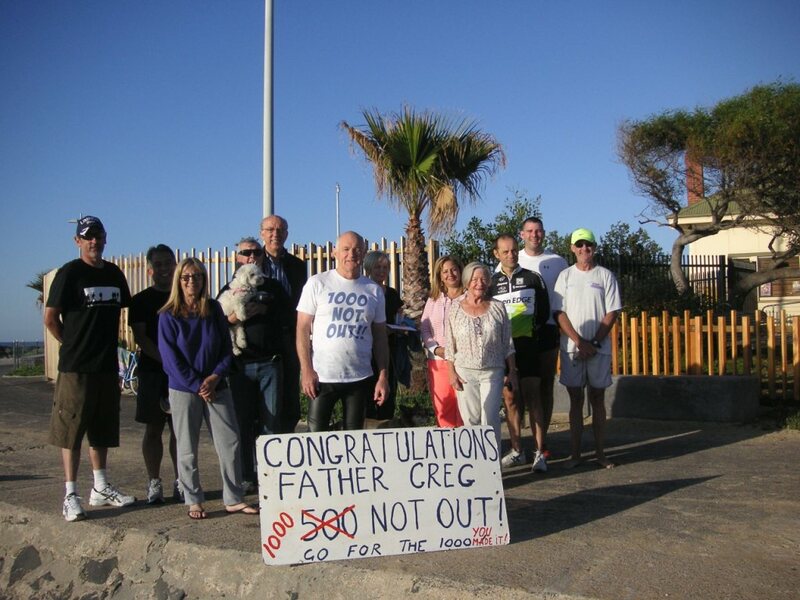 on Sunday was his Torquay mate Carl Tracey, who left his home at 5am to witness the achievement. 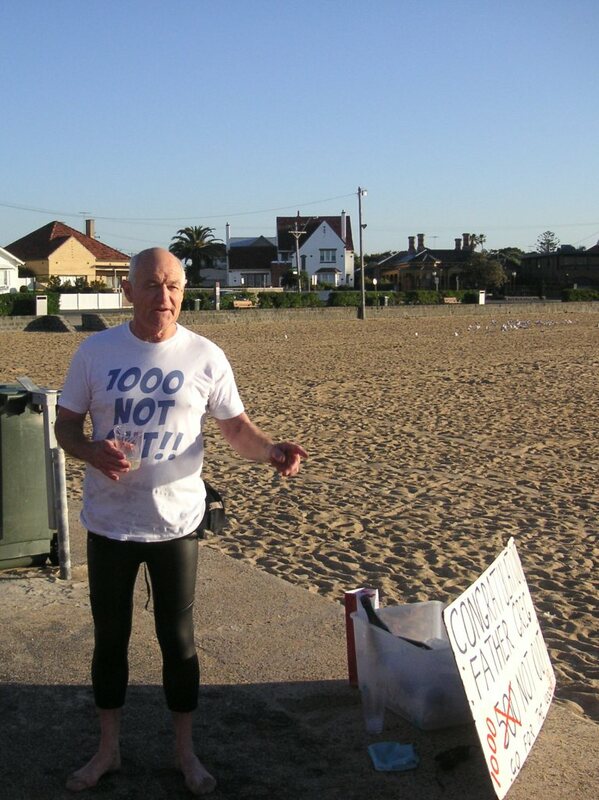 Carl, a keen surfer, brought not only his good wishes and friendship, but congratulatory signs. 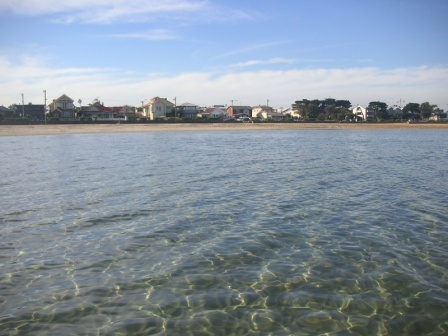 When the family move to Parkdale, in Melbourne’s southern beach suburbs, Greg found swimming good for counteracting hayfever and eczema. 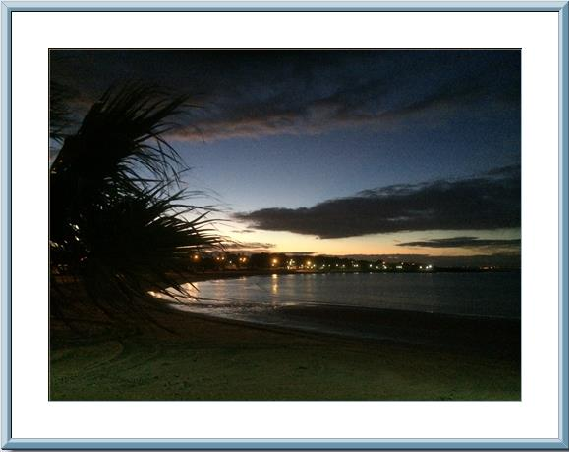 “Although I love the effects of the beach and the great feeling of wellbeing on the days that you swim, my main love affair has been with sport. I’ve been a former runner, boxer, footballer, cricketer and squash player. At 67, my sporting passion is now golf. Carl and Greg, and congratulatory message from the Willy Dolphins. “ When you know the health benefits of the swimming and one has got into the habit then even winter cannot stop one if there is sufficient motivation and self discipline. Even saying that, there are those once or twice occasions during the year, and it is one of the coldest, wettest, windiest days and the seawater looks dirty for some reason, then though you are changing on the foreshore, it would be very easy just to spit the dummy! “ On those days I might start singing some song just to get my mind off the sheer cold of the conditions, like ‘ Zippety do da zippety day, my o my what a wonderful day!’ Or other old songs like ‘ If you knew Susie like I know Susie, oh what a wonderful girl.’ Usually no one else is around! 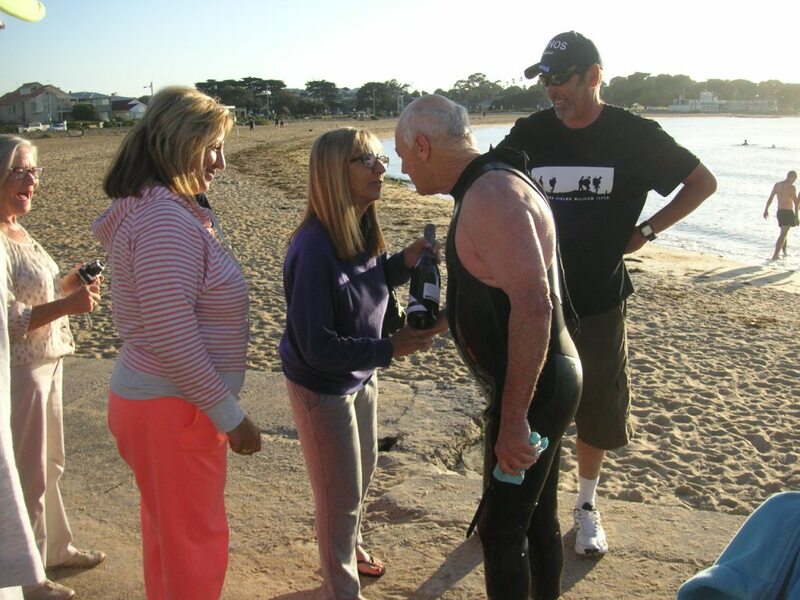 “My toughest swims have probably been the nights after the Saturday night wedding receptions when I have had a few drinks, or the night after the annual debutante balls that the Parish of Grovedale/ Torquay use to have year in and year out. Even on those days I always felt better for the swim and I believed I always treated people better because of it. “If one is unhappy or lacking enthusiasm then I am not much benefit to people who are grieving and want me to perform a good job for their loved one at a funeral. 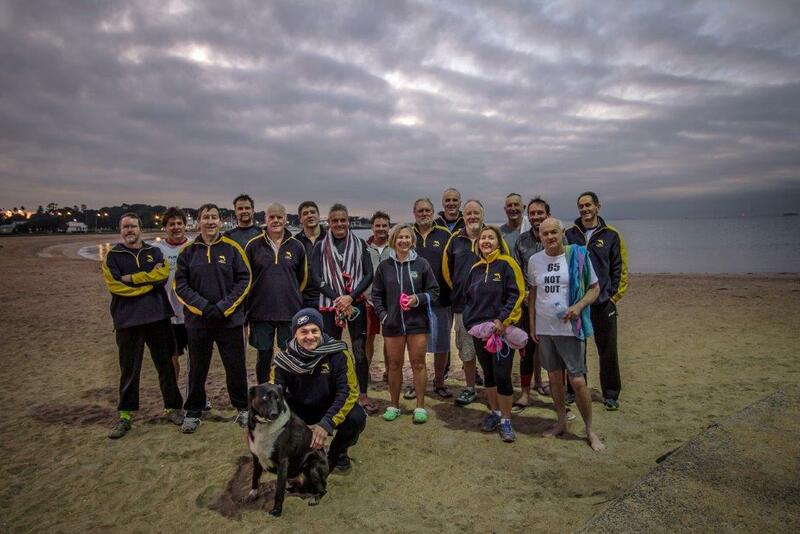 “I am not a strong enough swimmer to join more capable swimmers. I sometimes envy their abilities or great technique but I am basically more than happy with my own lot in life. One would like to be a great singer or musician or dancer. I applaud others with those abilities and thank a higher power for my own good gifts, without wishing to be the most liked or the best looking or the most intelligent! The Big Issue has just published Taking flight. It’s a story about racing pigeons and swimming nuns. About marathons and the sun. It’s a story about the sea and the desert. 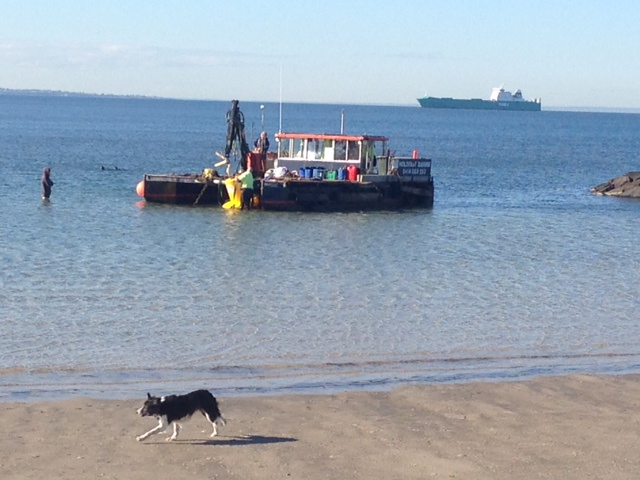 It’s a story about talking to a mate at the Williamstown beach. 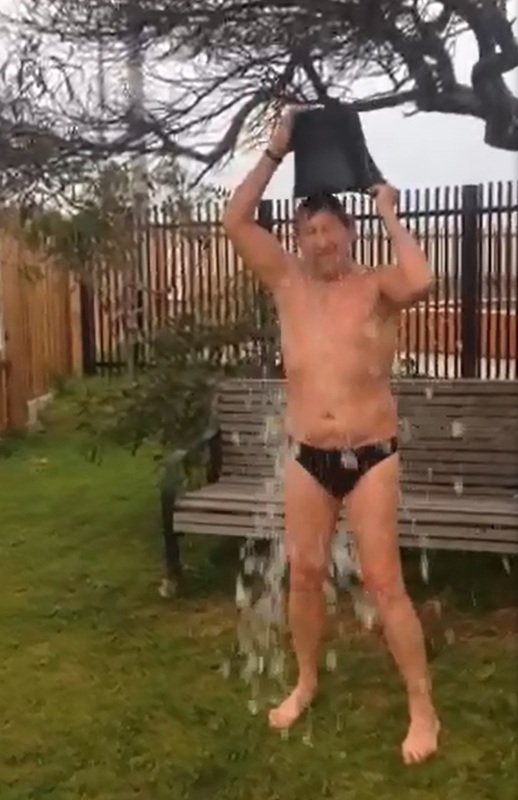 Kevin and Pat took up the ice bucket challenge recently, with hopes of others following suit. 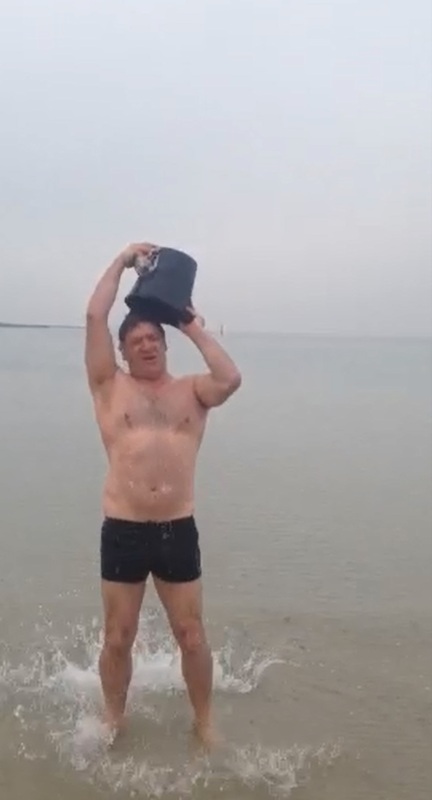 It could be argued, could it not, that the Dolphins answer the ice bucket challenge each and every day. Not that the Willy water ever turns to ice. But it gets pretty chilly. Kevin warms up for his morning dip. Pat cools down after his morning swim. 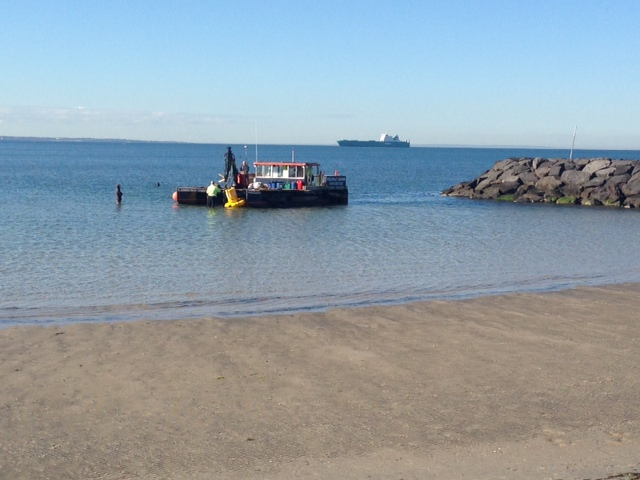 After about a week stranded near the end of the groyne and then about another week up on the sand, the Williamstown buoy is back in town. Holdfast Marine set to work at low tide on Saturday 23 August. Danny Buoy Wade caught some of the action with his trusty camera.